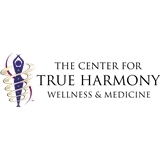 The Center for True Harmony Wellness & Medicine (Mesa) - Book Appointment Online! At True Harmony, Dr. Brass-Jones, and her team utilize the greatest aspects of the modern conventional OB/GYN Medical Model and the Holistic and Alternative Medical Model. Our OB/GYN, Midwives, PA-C's, Naturopaths and massage therapists work with you to create the optimal healthcare plan for you. We consider the mental and emotional aspects of your life as well as your lifestyle choices and values while providing quality healthcare.